Karami, which means “beautiful heat,” has a salty, savory vegetable base that’s enhanced with a subtly sweet flavor and a mildly spicy kick. You can’t put a finger on one overarching taste, which makes it a perfect example of the Japanese word, “umami,” which translates as “pleasant savory taste” and is considered one of the five basic tastes following sweet, sour, bitter and salty. It’s a Japanese concept that’s perfectly embodied in a spoonful of Karami. According to Karami’s history, the salsa was first made as a side dish in the 1890s, when Japanese arrived in Colorado from the West coast to pursue jobs on railroads and settled on farms. As the men who came first brought wives and started families, the adapted recipes to available ingredients in our landlocked state. So Japanese Americans raised in Colorado since then have had the familiar flavor of this treat served on their tables. If your family is from California (and arrived in Colorado after the WWII internment camps) or you live along the West Coast now, Karami may be a novel flavor. Jason Takaki’s family has lived in Pueblo for generations (his father was mayor of Pueblo in the 1970s, and I’ve written before about his sister Jennifer, a filmmaker), and he’s the one who introduced Kei Izawa to the recipe for Karami. But I just had lunch with a Japanese American whose family has lived in northern Colorado’s farm country for generations, and she knew immediately what I was describing. She said her grandmother could probably cook up some green chile into something like Karami right now, because she made a dish with green chiles, sugar, soy sauce and vegetables. 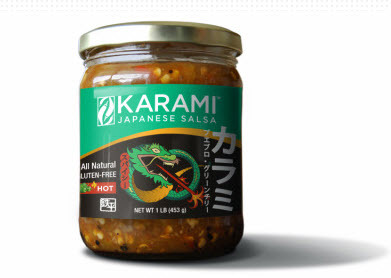 Karami is even healthy: it’s made in Pueblo with organic vegetables and chiles, gluten-free soy sauce and blue agave as sweetener instead of sugar. That’s why it’s making its debut at Alfalfa’s. Look for Kei introducing Karami at Alfalfa’s in Boulder April 20-21. It’ll also be available at Pacific Mercantile in Denver as well as Whole Foods and other grocers and supermarkets in short order. 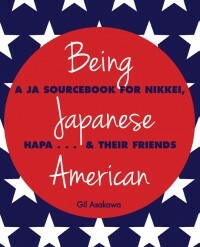 And those of you on the West Coast, watch for it to eventually arrive on shelves in your Japanese markets. Tagged justin takaki, karami, kei izawa. Bookmark the permalink.